Barbara Lee is a national leader in the effort to promote women’s political leadership and powerful participation in our democracy and in the arts. The Barbara Lee Family Foundation, which Lee founded and leads, is recognized nationally for investing in women in politics. 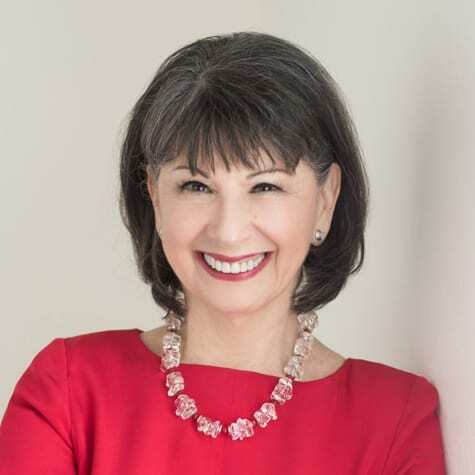 Lee is the driving force behind the Foundation’s groundbreaking “Governors Guidebook” series, which combines original research with nationally-distributed practical guides for women candidates seeking executive office. Lee has leveraged her belief in empowering women in politics by endowing the Barbara Lee Women in U.S. Politics Training Program and Lecture Series at Harvard University’s John F. Kennedy School of Government, which trains women for political office in the United States, and the Barbara Lee Political Intern Fellowship Program at Simmons College. Joanne Bamberger is a recovering attorney, author and political/media analyst living in the shadow of the nation’s capital. She’s also known around the blogosphere as PunditMom! PunditMom blog is the home of op-ed commentary by Joanne, who is also a freelance writer and former op-ed columnist for The Washington Examiner. Her work has appeared in a variety of publications including The Washington Post, various American Lawyer Media publications, Legal Times, Washingtonian Magazine, and many others. A new media expert and authority on political involvement of women and mothers, Joanne is a regular contributor to The Huffington Post and a featured columnist at CafeMom’s The Stir where she writes a weekly feature called Speaker of the House. Joanne also writes at MomsRising and MOMocrats, and was a contributing editor for news and politics at BlogHer. Her political commentary has appeared on CNN, Fox News, ABC.com, BBC Radio, NPR, Al Jazeera English & XM Radio POTUS ‘08, among others. Joanne speaks frequently at conferences and to private groups about the growing influence of women/mothers in politics and social media. She has presented and participated in panels at Netroots Nation 2009, the Feminist Majority Foundation, EMILY’s List, BlogHer, Fem 2.0, Type-A Mom Conference, WAM! 2009, the Women’s Media Center and others. Pam Spaulding is the editor and publisher of PamsHouseBlend.com, honored as Best LGBT Blog in the 2005 and 2006 Weblog Awards. In 2009, she was named one of Huffington Post’s Ultimate Game Changers in Politics, received the Women’s Media Center Award for Online Journalism, and named one of the OUT 100. Spaulding lives in Durham, NC.